There is nothing more comforting than a plate of meatballs and sauce. 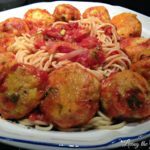 Tossed with spaghetti or served with just some crusty bread, this is the perfect meal to sit down to! It was one of those nights, where I found myself caught deciding between hamburgers and meatballs. Well, I ultimately chose to make meatballs and a quick, simple sauce. I enjoyed this simple version and so did the family. 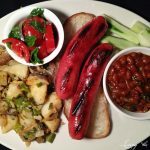 Its a meal perfect for any occasion! Combine all of the above ingredients in a bowl and mix. Form the mixture into desired sized meatballs. Heat a large cast iron frying pan with a ¼ inch of canola oil. 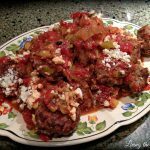 Add the meatballs; but do not overcrowd the pan. Cook until a nice golden color forms on the meatballs and then turn to continue cooking on all sides. When the meatball becomes firm it is cooked. The less firm the less cooked it will be. 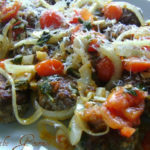 Serve with grated Parmesan or Romano cheese, cut fresh basil and red sauce if desired. These meatballs look fantastic, Catherine. They look wonderful! And there's not much more comforting than meatballs! Long ago, I used to make a recipe almost identical to this one! two of my favorite flavors...garlic and basil. add onions and black peppercorns and you've got it made! This looks scrumptious and seems pretty easy, too! I appreciate your sharing this! We just had meatballs and pasta on Tuesday and I love them. Your recipe sounds delicious and easy. I'll try your next time, I'm sure we will all enjoy them. Yummy! By the way, one has to be really careful with where they place their cursor on this site if they want to avoid one of those GourmetAds intruding upon your content. I hope they are paying you well. 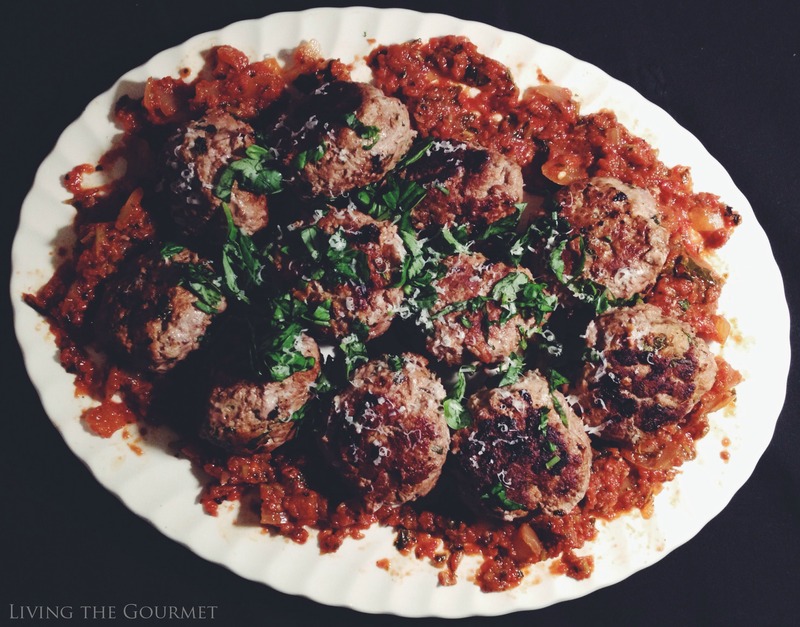 Meatballs are one of my favourite dishes...so easy to prepare and so versatile! 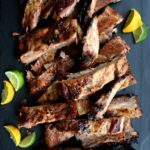 Looks delicious love it thanks for sharing with Hearth and soul blog hop. pinning. Basil and garlic are two of my favorite ingredients. I use them all the time and am always buying more! 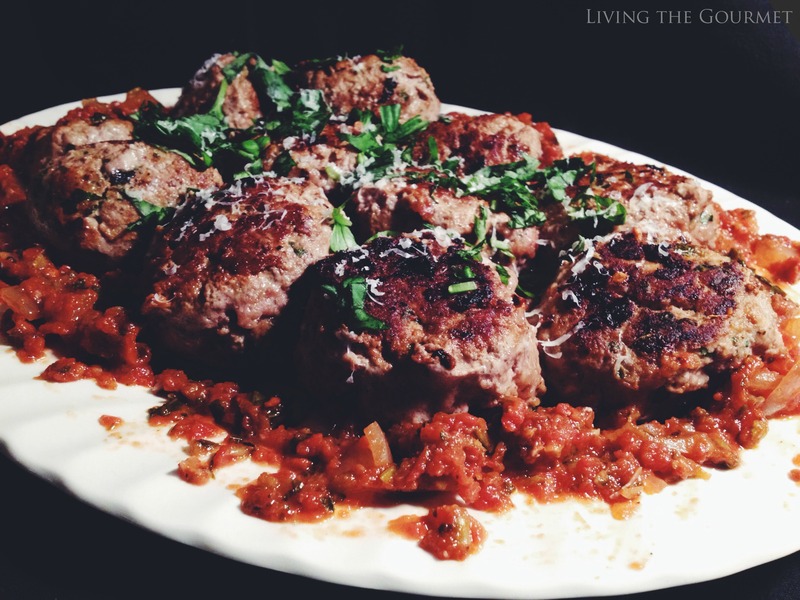 These meatballs sound amazing! Definitely want to make them. Oh yum!!! And I would love the leftovers in a meatball sub with provolone. Divine! Have a great week friend! I absolutely agree! Pure comfort food!! These meatballs look so delicious. I love all of the flavor! Wow, that looks amazing!! I am totally meatball obsessed and I could eat that entire platter happily!! Just followed this easy recipe and it tastes delicious and oh so easy to follow. 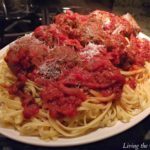 I am a huge fan of "comfort food" and this is always a favorite in the colder weather. Thanks for posting this. I'm a new fan.